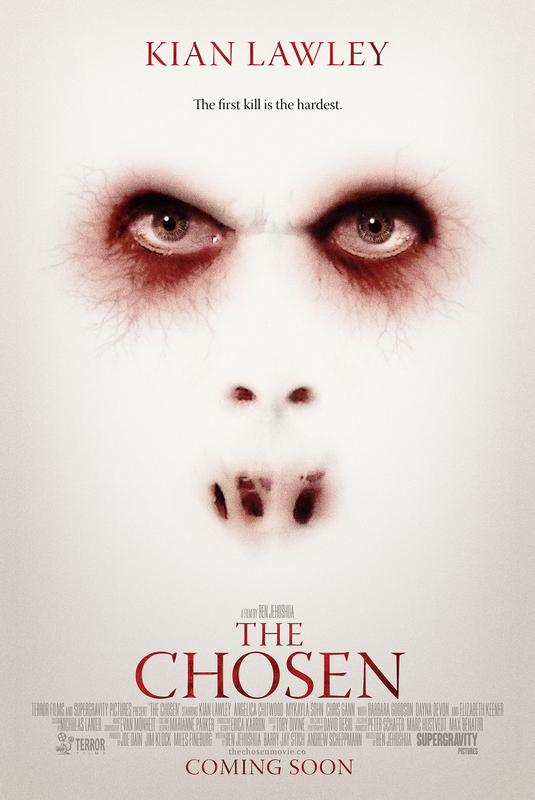 If you are a horror film aficionado Terror Films and Supergravity Pictures have just the flick for you, they are premiering their new horror film ‘The Chosen’ this weekend and in a bit of admitted anticipation The Y Life sat down for a chat with one of the films Executive Producers Miles Fineburg to get the inside scoop! ‘The Chosen’ opens today, Friday the 24th of July, across the country… In fact, 6 cities have already sold out tickets! So we wanted to know more about the film and its pre-release following? The Hollywood Reporter recently featured ‘The Chosen’ star Kian Lawley, 19, from San Clemente, Calif., and explained how Lawley, has amassed stardom through the internet. With his over 4 million social media followers between YouTube, Twitter etc. all created by swapping funny stories with his “vlogging” pals… Lawley, now repped by CAA, is said to be making moves toward Hollywood movie stardom… But how did his pairing with ‘The Chosen’ blossom? I just had to know… Does an actor with a social media following help attract projects to their namesake? You see, I knew The Y Life and all of our special readers would come in handy! But making films is no easy feet, and there are quite a few untold secrets of Hollywood movie making, which have us all wondering how it’s done…. So we asked Fineburg about the movie making process and how as a Producer, what inspired him to pick projects like ‘The Chosen’, which he has a hunch viewers will love? “We were very fortunate with The Chosen. One of my fellow producers Joe Dain had known the filmmaker Ben Jehoshua and one of the writers Barry Stitch had been working on this script for a few years. When we ended up creating the Terror Films banner Joe thought it would be good to reach out to them and see if it was a project we could make based on our model. Fortunately for us, the script was exactly the kind of film we were looking for – a character driven story in the horror/supernatural genre. For us, everything begins with the story and script. When we are reading submissions it is all about trying to find that balance between the classic elements of horror/supernatural stories and that extra element that makes the story stand out and become its own unique project. ‘The Chosen’ is a supernatural thriller starring internet superstar Kian Lawley, Mykayla Sohn, Elizabeth Keener and Angelica Chitwood… and Miles went on to tell us, what made each of these cast members perfect for their roles? To catch ‘The Chosen’ film today, you can download it during a 30 Day Exclusive Window on Vimeo On Demand, before it hits iTunes and Netflix!